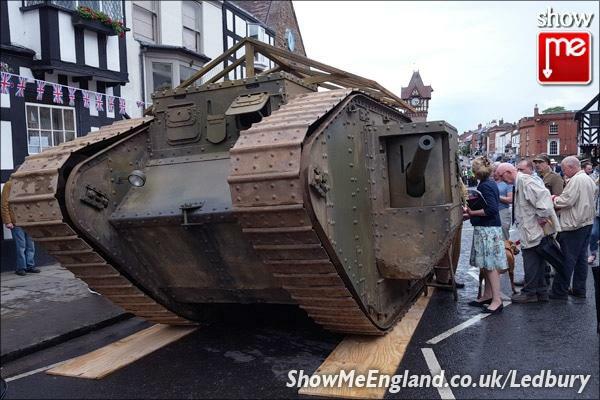 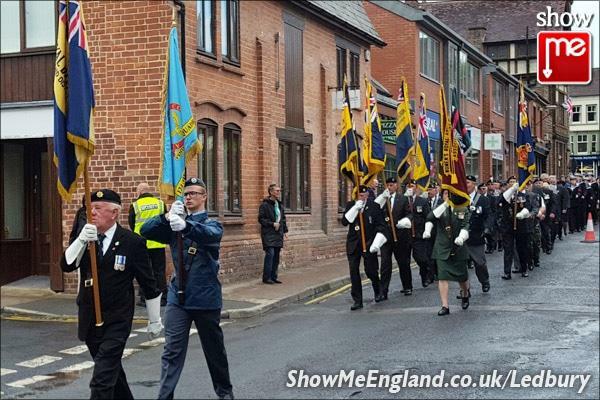 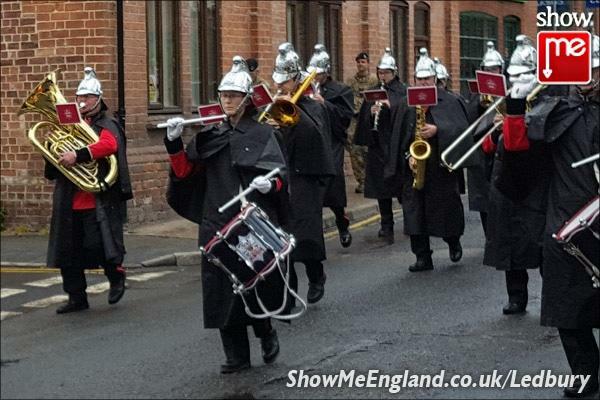 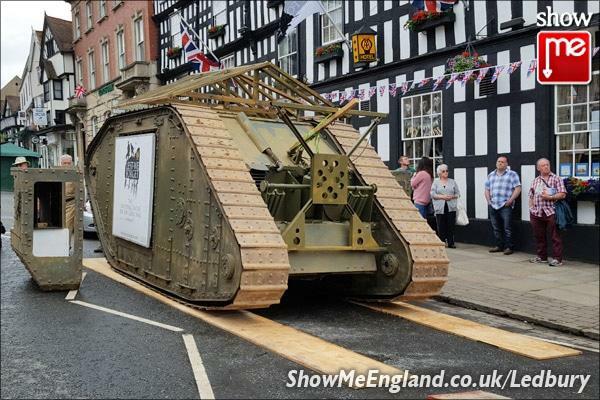 Ledbury hosted the ‘Herefordshire 1916 Centenary Commemoration Day’ in remembrance of two of the major events during the First World War – The Battle of Jutland in the North Sea and The Battle of The Somme in France. 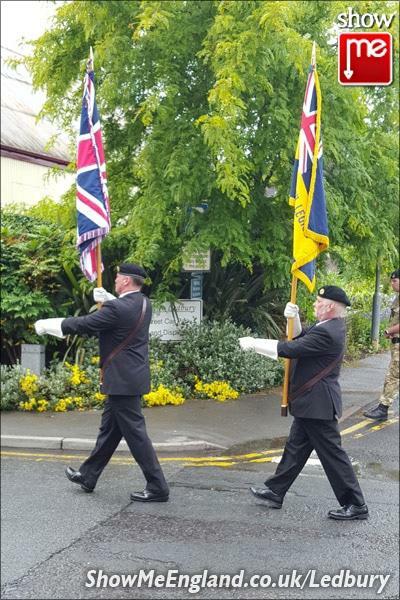 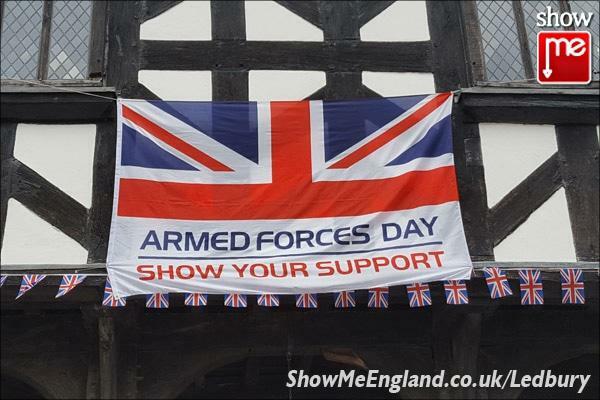 The day was also a celebration of Armed Forces Day and the Royal British Legion’s Annual County Rally. 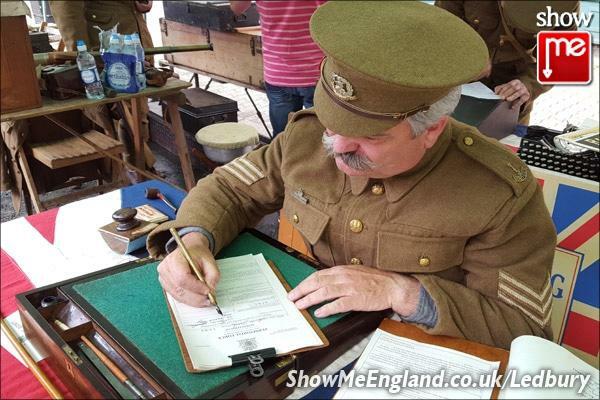 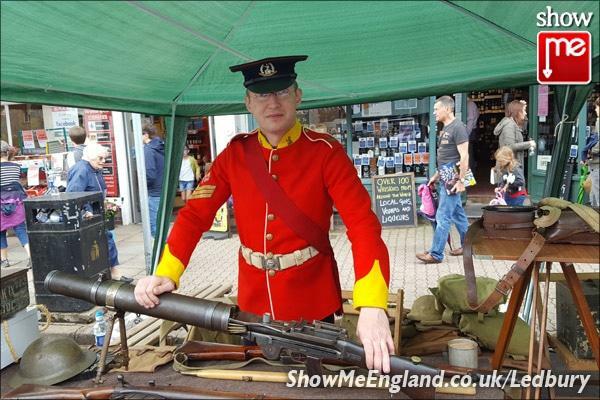 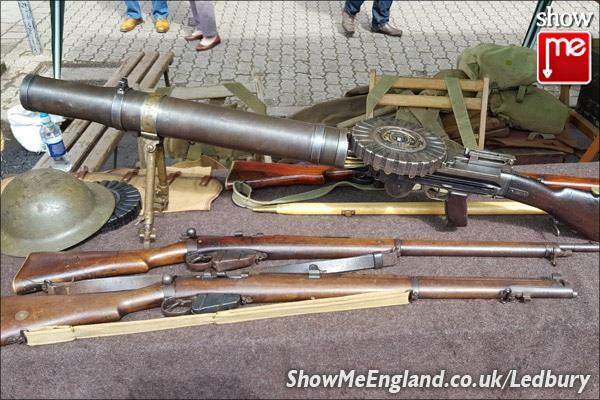 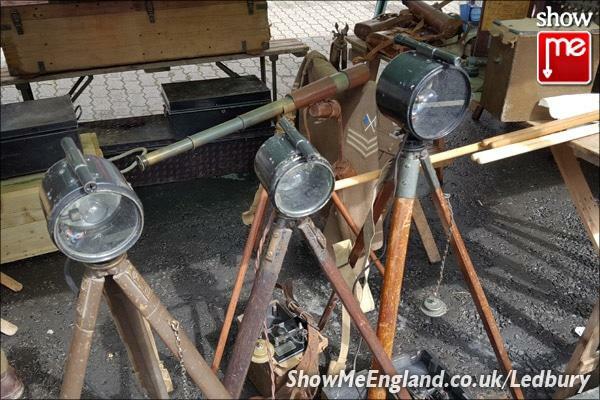 There were a variety of visiting exhibits and living history displays, including a WW1 tank replica, field kitchen, Quartermaster’s store, Cavalrymen on horseback and weapons from the Rifle Brigade Museum. 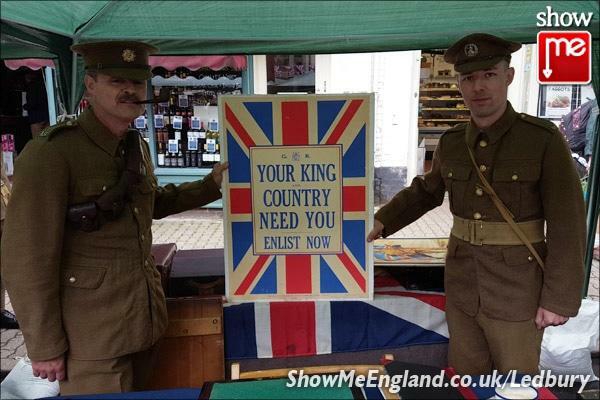 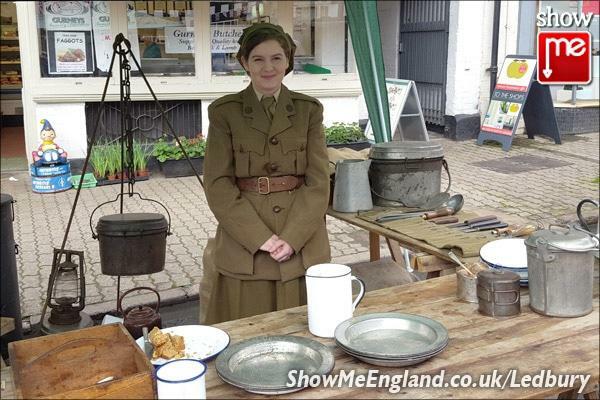 Show Me Ledbury was enlisted into the Territorial Force Nursing Service by a mock Recruiting Officer! 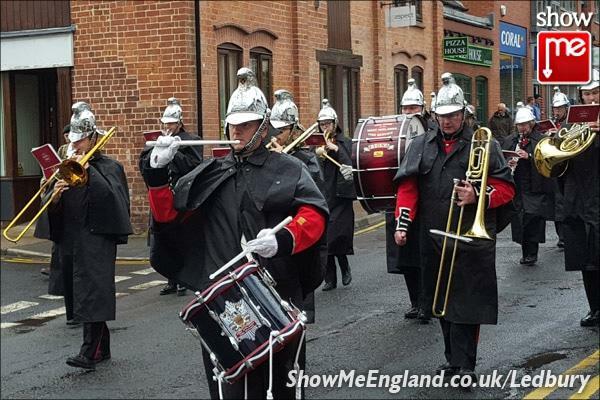 Singing and music was provided at the Market House by Ledbury Community Brass Band, Ledbury Community Choir, John Masefield High School and West Midlands Fire Service Band. 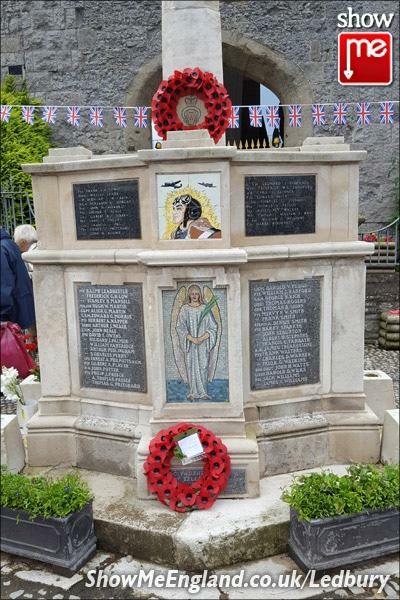 On display in Ledbury church were poems and prose by pupils of John Masefield High School. 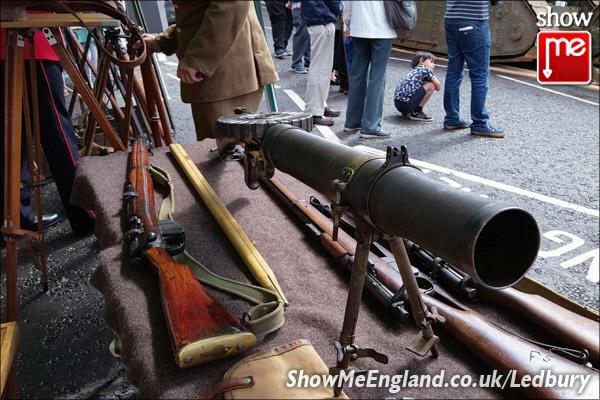 In addition, the Market Theatre showed a continuous short film of the above confrontations. 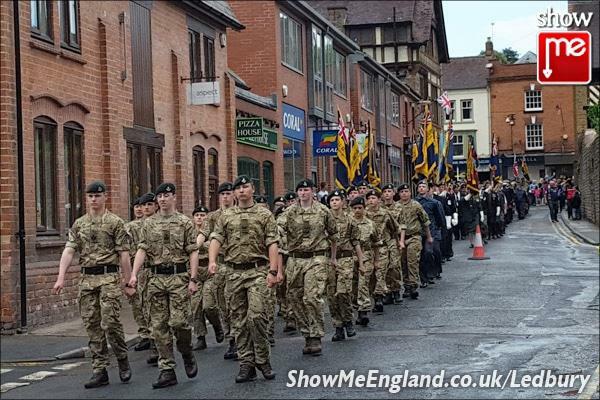 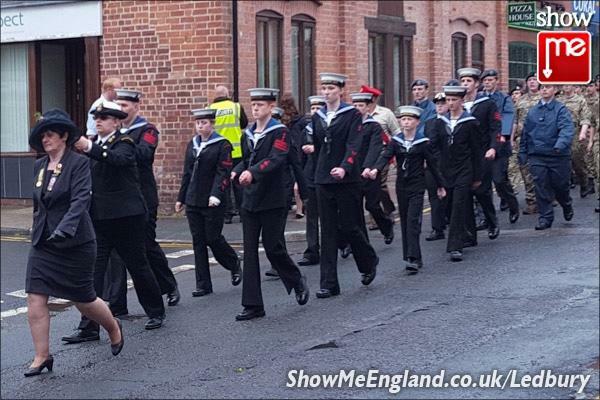 A parade of crew members from minehunter HMS Ledbury, Sea Cadet Corps, Army Cadet Force and Royal British Legion veterans marched along Bye Street and into the High Street. 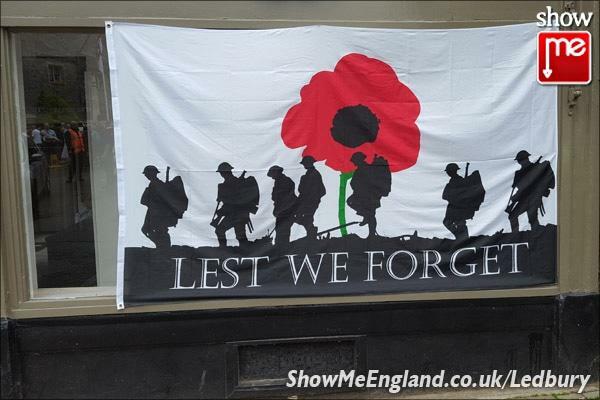 It was then followed by a service of commemoration, salute and the laying of a wreath at the War Memorial. 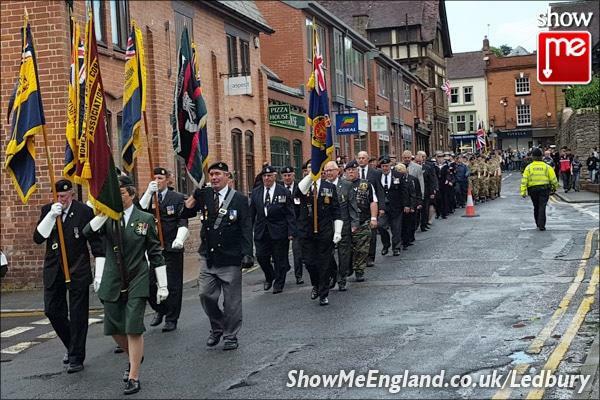 Various dignitaries were in attendance on the day. 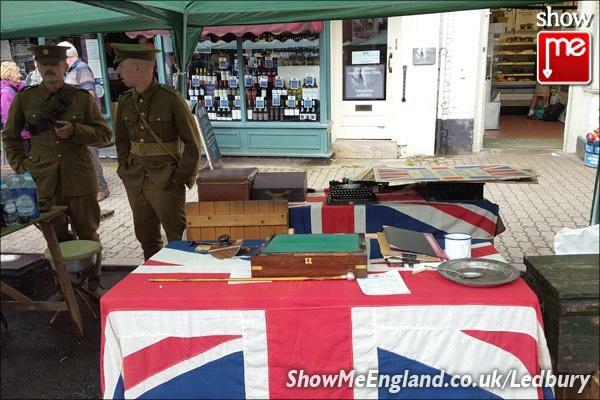 In spite of the rainy weather, the event was well supported by the community and visitors.